ADALBERO, following studies at Gorze Abbey, near Metz in Lorraine, St. Adalbero was consecrated Bishop of Verdun in 984. However, later that same year he was translated to Metz where he served as bishop until his repose in 1005. As Bishop of Metz, St. Adalbero founded several monasteries in his diocese and assisted in the restoration of Gorze Abbey. 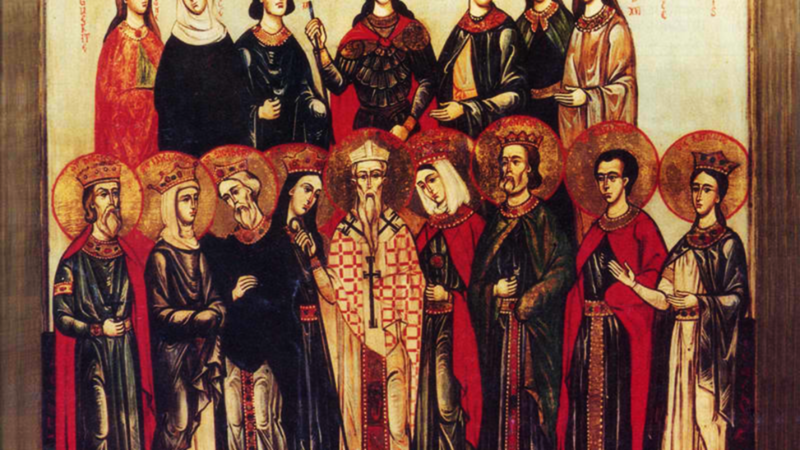 FAUSTINUS, LUCIUS, CANDIDUS, CAELIAN, MARK, JANUARIUS, and FORTUNATUS, (Date Unknown), a group martyrs in North Africa, who although listed in all the early martyrologies, nothing is known. FLORENTIUS (FLANN), (Seventh Century), an Abbot of Bangor, Co. Down, Ulster during the seventh century Nothing is known about his life other than his reputation for zeal and piety. MAXIMINUS (MESMIN), co-founder, with King Clovis, and first Abbot of the Abbey of Saint-Mesmin, Micy near Orléans. St. Maximinus reposed 520. OFFA, a King of Essex who abdicated his throne to become a monk at Rome. He reposed circa 709. URBITIUS (ÚRBEZ), a Frankish monk captured by Saracens, w-ho managed to escape and spent the rest of his life as a hermit in the Pyrenees Mountains. St. Urbitius reposed circa 805. VALERIAN, a Bishop of Abbenza in North Africa who was martyred by Arian Vandals in 457 for refusing to surrender sacred vessels.